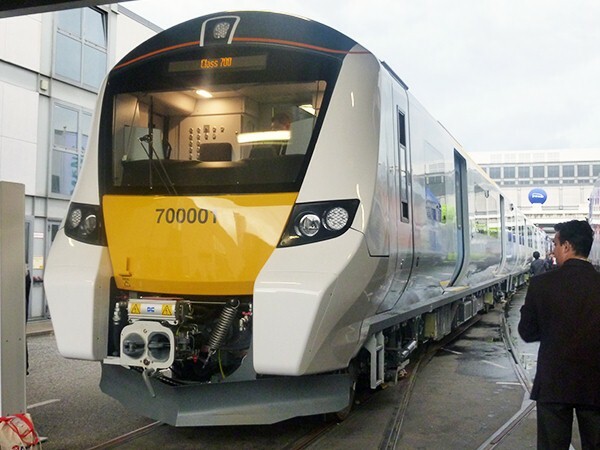 Following the display of the Class 700 mock-up at the Excel Exhibition Centre in London a the end of January 2014 real vehicles were on display at the Innotrans 2014 Exhibition in Berlin. Ian Buck was lucky to attend and was able to get a few shots for us, albeit from the restrictive viewing angles available. These photographs were taken on 26th September. (above) The interiors of this stock proved controversial when seen in the mock-up and they have little changed on the real thing. 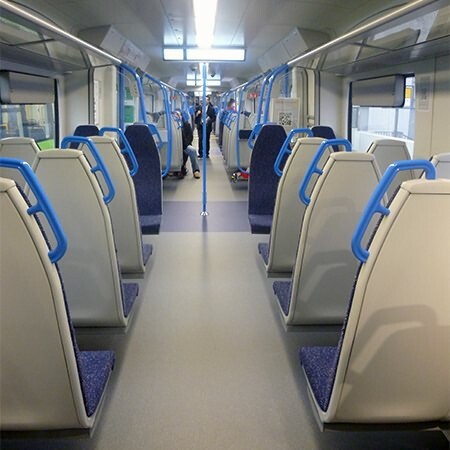 Govia, on being awarded the franchise, are known to be unhappy with the high-density inner suburban interiors which have been specified and provided for trains which will actually travel substantial distances. 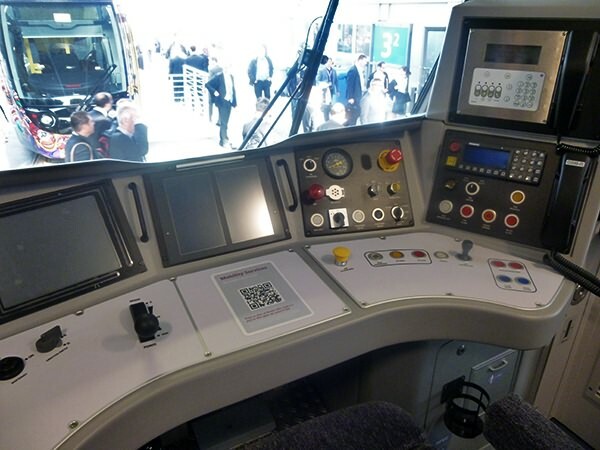 (below) Two samples of the actual Passenger Information System screens within the cars. The first giving an indication of loading within the train and the second a route map with current location. One wag has already commented that there should be a screen showing where the comfortable accommodation is, but - oh no - there isn't any!